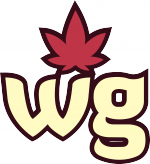 Join the most seductive cannabis community the internet has to offer! All you have to do is register to become a part of this project. Simply choose the type of membership you want and fill out the form to create an account. It’s easier than taking a bong rip and will only take a few minutes.